The European Vocational Skills Week, 5-9 December 2016, is organised by the European Commission under the motto “Discover your talent!”. In a changing and more competitive job market, quality vocational education and training (VET) delivers specific skills and knowledge for the jobs of today and tomorrow, leading to great careers and better life prospects. 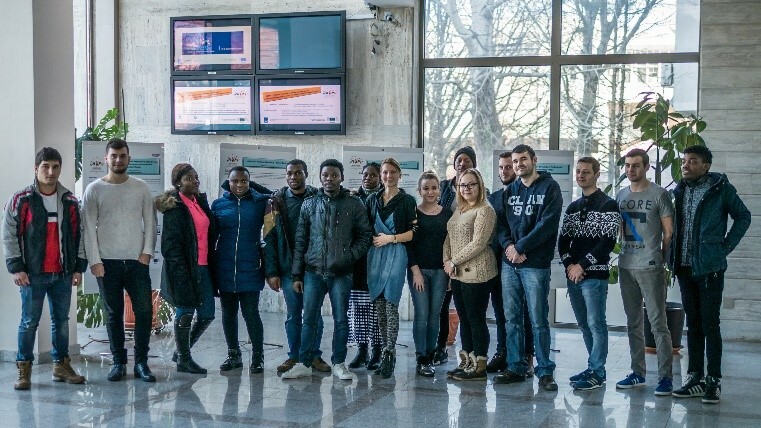 Constanta Maritime University support this initiative and organizes at its premises in Constanta, Romania, the event “CMU – Connected to the Needs of the Maritime Industry”. As a higher education and VET training provider, Constanta Maritime University has historically been connected to the needs of the maritime industry. During this event, CMU coordinated activities for enhancing the awareness of educational offer in the VET sector. Our department for career guidance interacted with participants and boosted the general awareness regarding the services provided for increasing the trainees’ employability. The CMU training centre organized a session for highlighting the key findings of our vocational skills research and the ways for improving of soft and hard skills. The participants benefited from guidance for elaborating CV and cover letter (photo 1). During the EVS week, the trainees consulted posters presenting our endeavours for correlating skills and competences with the marine labour market expectations (photo 2).